It is the summer of 1941 and Abe Auer, a Russian immigrant and small-town junkyard owner, has become disenchanted with his life. So when his friend Max Hoffman, a local rabbi with a dark past, asks Abe to take in a European refugee, he agrees, unaware that the woman coming to live with him is a volatile and alluring actress named Ana Beidler. Ana regales the Auer family with tales of her lost stardom and charms and mystifies Abe with her glamour and unabashed sexuality, forcing him to confront his own desire as well as the ghost of his dead brother. As news filters out of Europe, American Jews struggle to make sense of the atrocities. Some want to bury their heads in the sand while others want to create a Jewish army that would fight Hitler and promote bold, wide-spread rescue initiatives. And when a popular Manhattan synagogue is burned to the ground, our characters begin to feel the drumbeat of war is marching ever closer to home. Set on the eve of America’s involvement in World War II, The Houseguest examines a little-known aspect of the war and highlights the network of organizations seeking to help Jews abroad, just as masses of people seeking to escape Europe are turned away from American shores. It moves seamlessly from the Yiddish theaters of Second Avenue to the junkyards of Utica to the covert world of political activists, Jewish immigrants, and the stars and discontents of New York’s Yiddish stage. 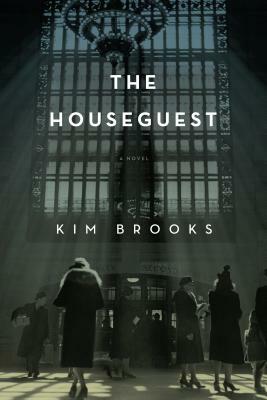 Ultimately, The Houseguest is a moving story about identity, family, and the decisions that define who we will become.